Nirvanesque, merveillance expert, Nuxellence and Nuxuriance Ultra. Creme Fraiche and Prodigieux range. 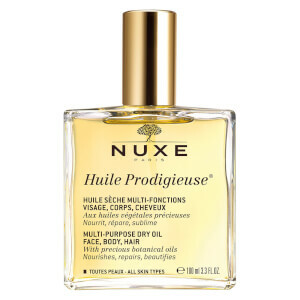 Discover NUXE Huile Prodigieuse, Nuxe iconic product. Created in 1991, NUXE multipurpose dry oil nourishes, repairs and softens skin and hair thanks to its unique composition with six Precious Plant Oils (Macadamia, Hazelnut, Borage, Almond, Camellia and St. John’s Wort) and vitamin E. NUXE dry oil is also famous for its mythic fragrance! The ideal range for men to repair, protect, hydrate and soothe their skin with its original combination of tree extracts. 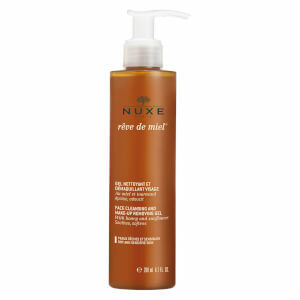 NUXE body range is perfect to pamper yourself, take care of your body in a delicious fragrance. NUXE Sun combines perfect protection and amazing fragrance to mix summer and glamour. NUXE is a French leading cosmetic company which is #1 on the natural-origin cosmetics market in French pharmacies. Its DNA combines Glamour and Excellence of Nature. NUXE was founded more than 20 years ago by Aliza Jabès, a Parisian woman with a visionary spirit and an entrepreneurial soul. Passionate about the infinite power of plants and convinced from a young age by her father, a research pharmacist, that the major therapeutic discoveries come from the world of plants, Aliza Jabèsdecided to create a brand of natural cosmetics. In the early 90s, she discovered NUXE, a small R&D laboratory in Paris, and decided to use it as the starting point for a new beauty brand combining Nature and Luxury. The core values of this brand, NUXE, are nature, innovation, sensorialityand accessibility. NUXE was launched in the UK a few years ago and it’s also present in more than 64 countries around the world.